Microsoft PowerPoint is still the most popular presentation software and it seems there no one to doubt about its capability of creating presentation files. Everyone also knows that Microsoft PowerPoint is a paid software part of Microsoft Office. Linux users will never be able to use it. Some Windows users also prefer to use a free presentation software rather than spending their money for Microsoft Office. If you a sort of that person, read on because this article will show the list of great free presentation software to replace Microsoft PowerPoint. By the way, PowerPoint uses .PPTX as the default file extension. Some presentation software below has a good compatibility with it so you will keep be able to work on the presentation files you created with Microsoft PowerPoint in case you want to make a switch from it. LibreOffice should be on the list when you talk about an office suite. It is one of the most popular free office suites. 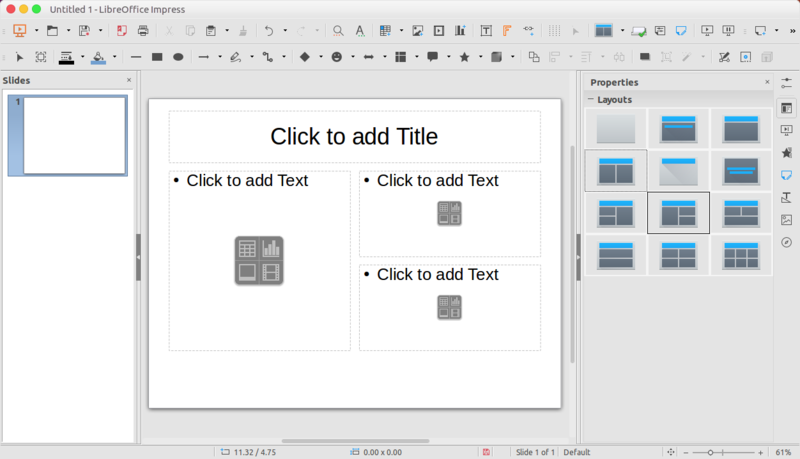 LibreOffice Impress is the name of he presentation app part of this office suite. 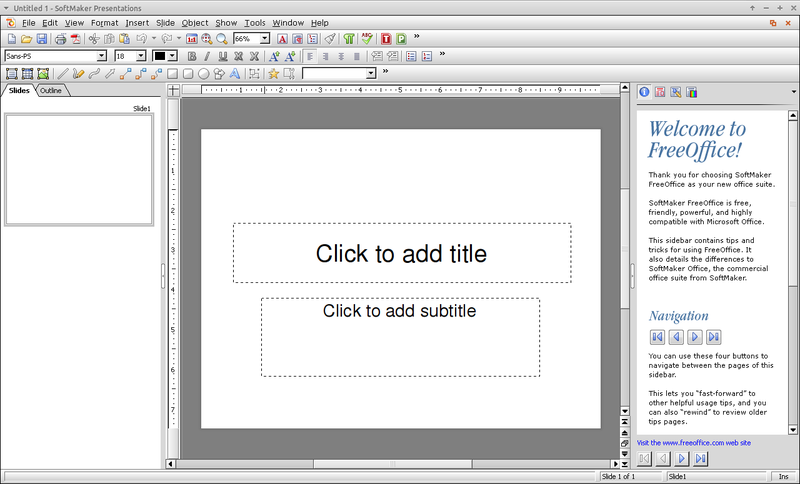 LibreOffice Impress comes with a very good compatibility with Microsoft PowerPoint. The presentation software is capable of opening a PPTX file as well editing it. In general, the features of LibreOffice Impress are not much different to Microsoft PowerPoint. It’s just, it will probably takes some time for you to make an adaptation since it has a bit different interface to Microsoft PowerPoint. LibreOffice itself is a cross-platform office suite that is available for Linux, macOS, Windows, iOS and Android. Apache OpenOffice is built from the same core as LibreOffice. More precisely, LibreOffice is forked from OpenOffice. So basically, there is no difference between Apache OpenOffice and LibreOffice in terms of features. The presentation tool of Apache OpenOffice is called Impress. Same as LibreOffice Impress, Apache OpenOffice Impress also has a very good compatibility with Microsoft PowerPoint. You will keep be able to work on the presentation files you created with Microsoft PowerPoint using this tool. 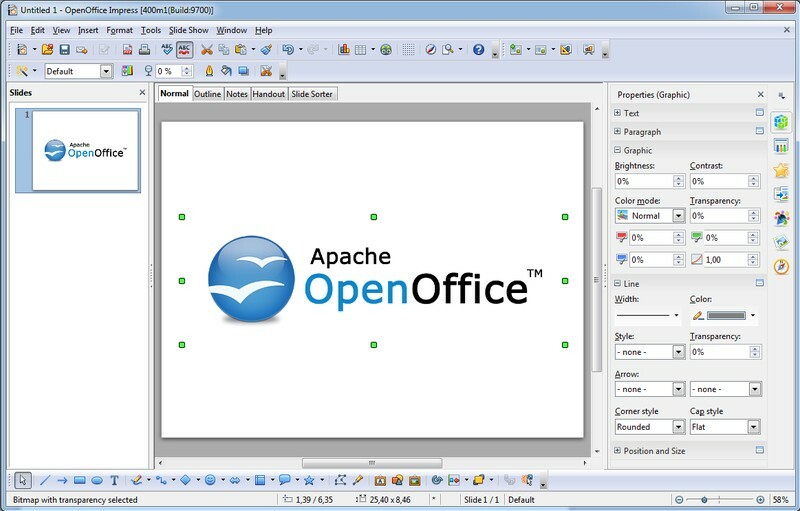 Apache OpenOffice is also a cross-platform office suite. It is available for Linux, macOS, and Windows. WPS Presentation is probably the best free alternative to Microsoft PowerPoint if interface is matter you the most when choosing a software. The interface of WPS Presentation is extremely similar to PowerPoint, allowing you to be able to use it right away without making much adaptation. WPS Presentation itself is a part of WPS Office, a cross-platform office suite developed by a Chinese software company Kingsoft. WPS Presentation also comes with a compatibility with PowerPoint, meaning that you can edit a PPTX file with it. WPS Office is available for Linux, Windows, Android and iOS. No macOS. While you can use WPS Presentation for free, paid version is also available with more templates offered. What makes this free presentation software a step ahead of its competitors is that it comes with a tabbed interface to allow you work on multiple presentations from a single window. Linux users who want to try another office suite other than LibreOffice (that is not Apache OpenOffice), can give OnlyOffice a try. It is an open source office suite just like LibreOffice, but comes with a nicer interface (at least Microsoft Office users said that). 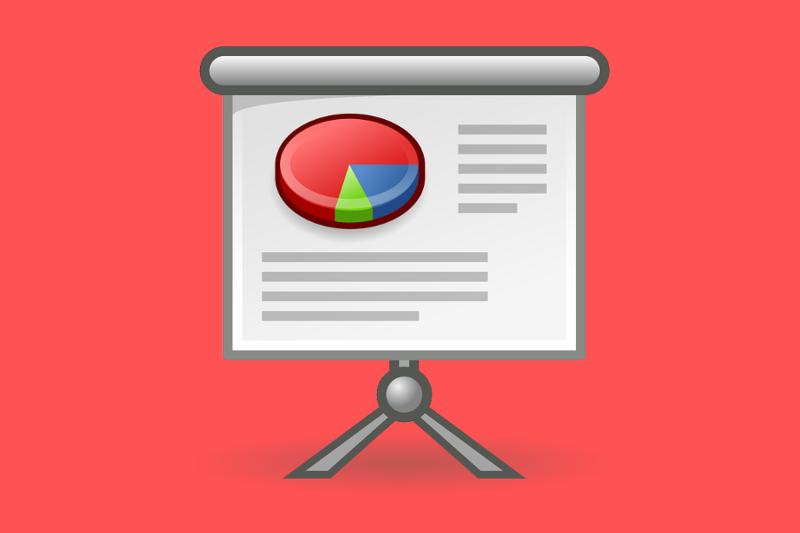 OnlyOffice consists of three main components, one of which — of course — is a presentation maker tool. OnlyOffice Presentation also has a good compatibility with PowerPoint. In fact, it only supports Microsoft PowerPoint file format (PPTX). Not even ODP that is becomes the standard format of LibreOffice. OnlyOffice itself is available in two versions: desktop and SaaS. The desktop version of OnlyOffice is available for Linux, Windows and macOS as well. 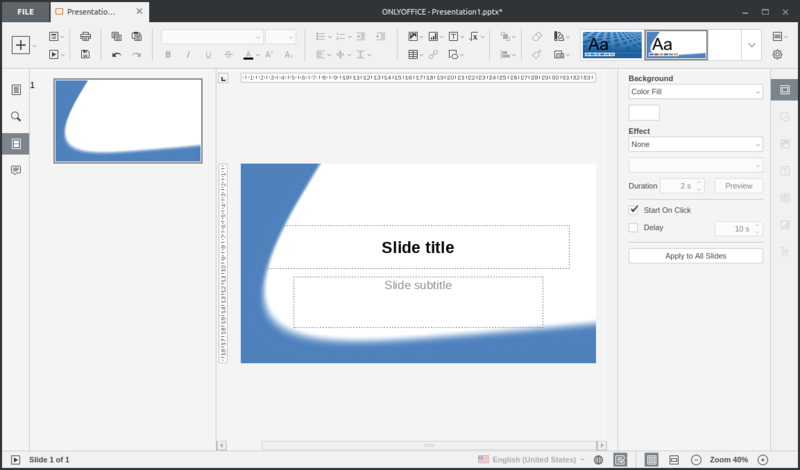 Calligra Stage is a free presentation make tool part of Calligra Suite, an open source office suite developed by the KDE community. Unlike four first presentation tools above, Calligra Stage doesn’t come with a compatibility with Microsoft PowerPoint. The tool only supports OpenDocument presentation (ODP). 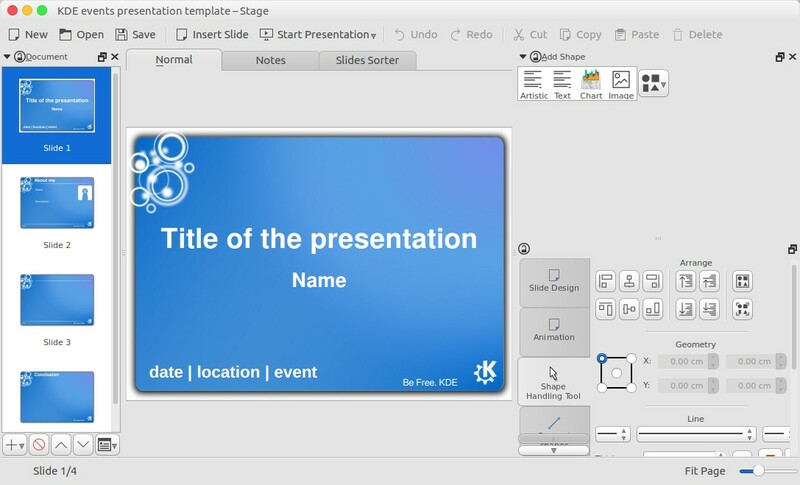 Calligra Stage has a bunch of ready-to-use presentation templates that you can use for free. Although the software is aimed primarily at Linux users, Mac and Windows users can also use it. You can download the Calliga Suite package here. Miss the old look of Microsoft PowerPoint? If so, then FreeOffice Presentations is a worth-trying item. FreeOffice Presentations is a part of FreeOffice, a free office suite developed by a German company SoftMaker. 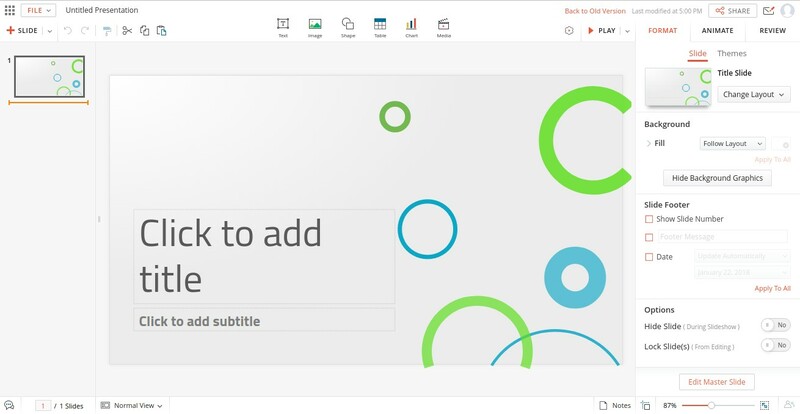 Although has an old-fashioned look, FreeOffice Presentations is capable enough of replacing the PowerPoint role in helping you creating presentation files. It also has a good compatibility with Microsoft PowerPoint. FreeOffice is available for Linux and Windows. So, sorry Mac users. Lazy enough to install a new application on your computer? Then an online presentation maker is the best solution. One of the online presentation makers that has a compatibility with Microsoft PowerPoint and you can use for free is Zoho Show. Zoho Show is a part of a Zoho Docs, an online office suite from Zoho. Since it is an SaaS software, you don’t need to install any app to start using. Just launch your web browser and you can start to work. As I said, Zoho Show also has a good compatibility with Microsoft PowerPoint. You can open as well as edit a PPTX file using this tool. In addition, it also support OpenDocument Presentation forrmat (ODP). Google Slides is the closest competitor of Zoho Show. One thing that makes Google Slides slightly superior to Zoho Show is that you can enhance its functionalities by installing add-ons. However, the native features and capabilities of Google Slides are not much different to Zoho Show. 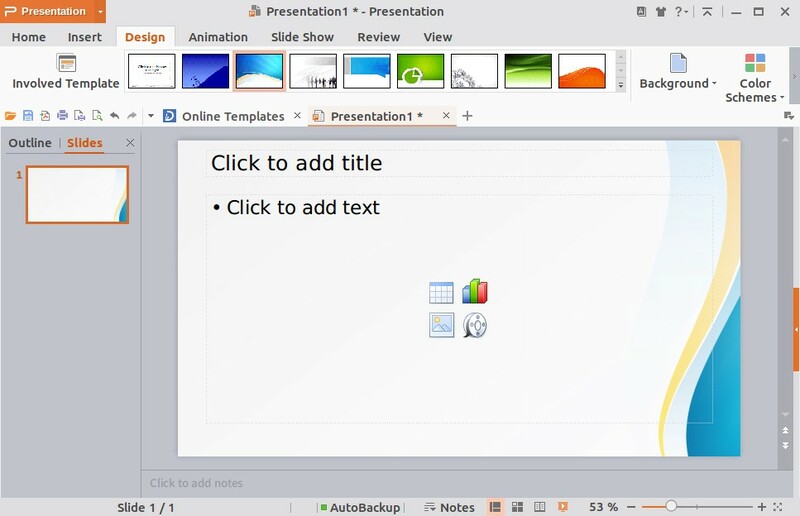 This online presentation maker is also compatible with Microsoft PowerPoint. Furthermore, it also supports OpenDocument Presentation format. Next articleWhat is a CR2 File and How to Open it?